Where I got it: Spincycle sent me some. My Thoughts: I have really loved working with the sport weight version of this yarn - Dyed in the Wool - and this one is just as dreamy! Because of the chunkier gauge, the marled effect is bolder. The gradient thing that happens because of the long variegated sections is always surprising and wonderful - keeps me knitting to see what's going to happen next! Every skein and every section is unique, so my swatch is just a tiny sample of what this yarn can do. 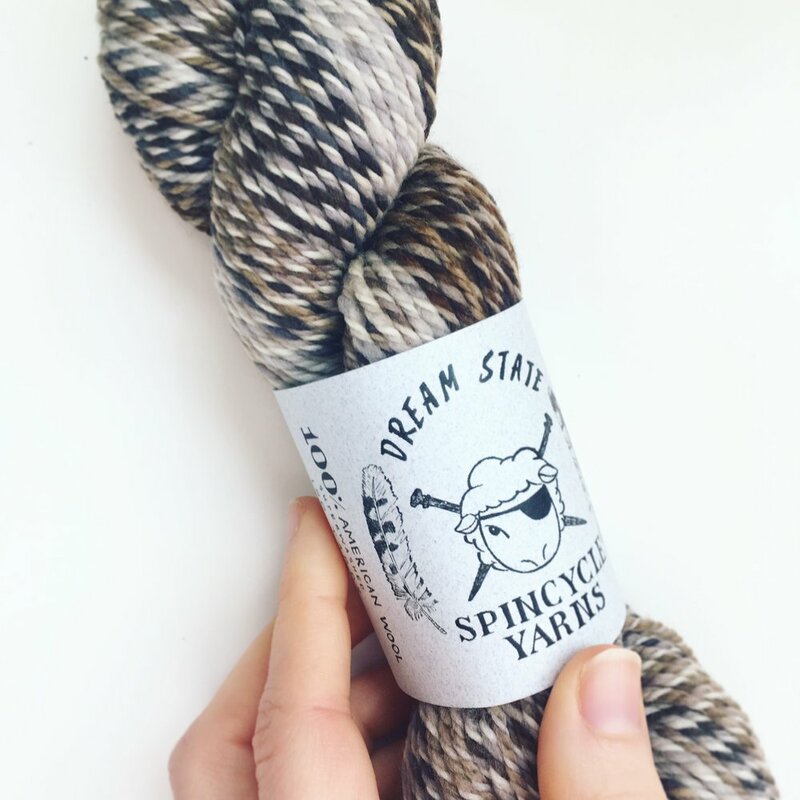 And I'll give a personal plug for the folks at Spincycle too - they own their mill, run it themselves (follow Kate & Rachel's Instagram feeds for amazing mill shots along with lots of other good stuff), and use American wool. What I might design with it: I'm working on a colorwork yoke cardigan with a different colour of this to combine with Magpie Domestic Worsted. Can't wait to share! UPDATE: I published Dissent, a new cardigan pattern using this yarn.